Autumn is beautiful: the trees look really pretty, everything gets a bit more atmospheric, there are leaves to kick, and plenty of rain, too. On these rainy gray days I wanted to read something funny and light. 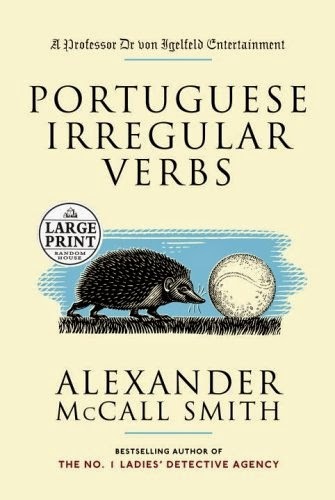 So I found myself rereading The 2 ½ Pillars of Wisdom by Alexander McCall Smith, a comic trilogy, introducing the unnaturally tall Professor Doctor Moritz-Maria von Igelfeld, the proud author of the Portuguese irregular verbs. 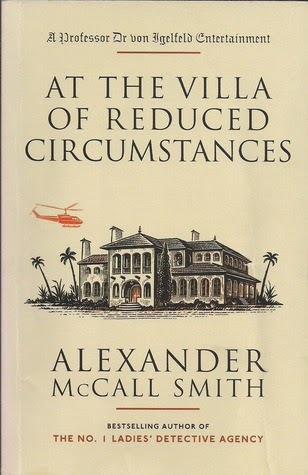 I am having so much fun reading The 2 1/2 Pillars of Wisdom which incorporates three titles Portuguese Irregular Verbs, The Finer Points of Sausage Dogs, At the Villa of Reduced Circumstances. The trilogy tells the story of Professor Dr. von Igelfeld and his friends and colleagues at the Institute of Romance Philology in Regensburg, Germany: Professors Detlev Amadeus Unterholzer and Florianus Prinzel. The 2 1/2 Pillars of Wisdom follows unbelievable adventures of Professor von Igelfeld and his colleagues from Regensburg to Switzerland, from Venice to Ireland, and from England and Columbia. In his crazy escapades Dr. von Igelfeld investigates the world of archaic Irishisms, takes part in a duel, transports relics for a Coptic prelate, and is pursued by lovesick widows on a cruise ship. I adore the quirky and "socially clumsy" Professor Dr Moritz-Maria von Igelfeld. These three novellas are filled with humour, warmth, and insight into friendship, love, and kindness. This book will have you laughing out loud and brighten up your dullest day. 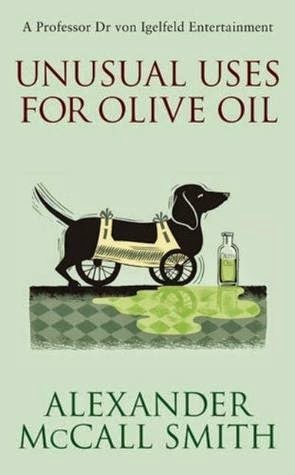 Unusual Uses for Olive Oil is the latest and fourth book about new series of adventures of Professor Dr. von Igelfeld. "In Unusual Uses for Olive Oil, von Igelfeld finds that his academic rival Detlev-Amadeus Unterholzer has been winning undeserved recognition, a situation that must be addressed. Then von Igelfeld stumbles toward a romance with Frau Benz. Later, von Igelfeld fearlessly plunges 3000 feet into mountaineering history, and turns his survival into the subject of inspirational lectures. 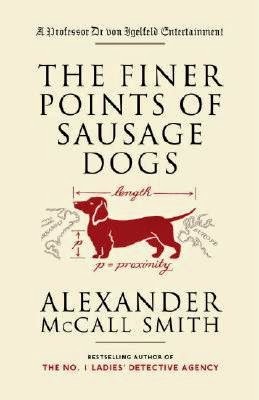 Finally, at a dinner party, he is the only kind soul who can aid an unfortunate dachshund whose sticky wheels are in need of lubrication." The book is definitely on my list. I cannot wait to read "Unusual Uses for Olive Oil".